​Some of the world's best athletes love to show off their athletic prowess in other sports as well. This was the case when Spanish footballer and Real Madrid defenseman Sergio Ramos took to Twitter to show off his hops. 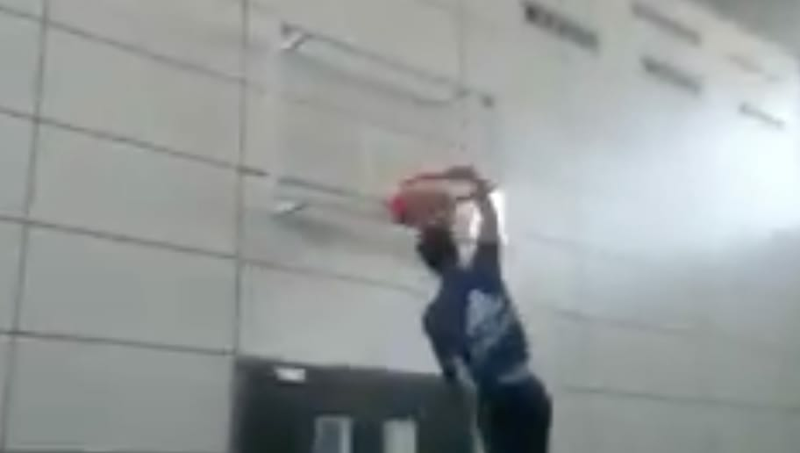 It turns out, Ramos can play above the rim. ​​The 30-year-old is just six feet tall, but throws the ball down with relative ease. Ramos said he is getting ready for the the NBA All-Star Game, and challenged LeBron James to top him. Ramos has helped carry Real Madrid to the top of the table in La Liga, and his six goals on the season are the second most for a player from Madrid, behind only Cristiano Ronaldo. We know Ramos is good with his feet, and clearly has some spring in his step. If Ramos can do a little more than dunk the ball, James might look to bring the Spaniard in for a tryout to join the Cavaliers. For now, the ball is in your court, LeBron.